Set in the heart of the stunning Hatton Country World, this new 15m long, 1.2m deep swimming pool provides the local community with the opportunity to take advantage of our five-stage award-winning swim lessons. Not only is being able to swim a potentially life-saving skill, but it’s also fantastic fun, whether you’re in a pool or at the beach; both at home or abroad. At Hatton Swimming Pool, our classes are small, meaning you’ll progress quickly, aided and abetted by our hugely talented and experienced team of coaches. Meanwhile, you can also keep an eye on your child’s progress from the dedicated spectator’s area within the pool. Our swimming lessons are consistent award-winners, while Everyone Active itself has been named Operator of the Year by ukactive five times in the last eight years. 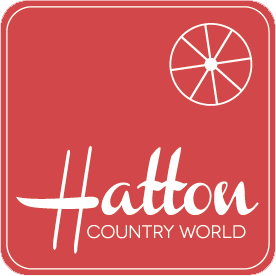 The pool adjoins Hatton Childrens’ Nursery, Hatton Adventure World’s Indoor Play Centre and the Spinning Jenny Restaurant. There is also ample free car parking and a vast array of interesting shops to enjoy. We’re not just about swimming lessons, however. Alongside these, Hatton Swimming Pool also offer kids’ pool parties, Aqua Fit exercise classes, as well as pre- and post-natal classes. Taught by Swim England-qualified and fully DBS-checked coaches, our children’s swim lessons are the perfect way to introduce your kids to this fun, but vital, life skill. All lessons are taught in classes made up of five students or less, meaning your child will get the attention they deserve and are taught in the beautiful surroundings of this modern, luxurious pool. Each 30 minute class occurs on a weekly basis and are suitable for children aged three and up over the course of our Swim England accredited 11-stage swimming lesson programme. We also offer parent and baby lessons for children aged four months and up, as well as school holiday crash courses. Aqua Passport is a system that allows you to keep track of your child’s progress through all 11 stages of the Swim England Learn to Swim Framework that we operate as the foundation of our swimming lesson offering. As well as keeping you up to date with your child’s progress, Aqua Passport also offers your child support and encouragement through their swimming lessons. Your child will collect trophies as they move through the programme, while they are also rewarded with fun games and quizzes to enjoy, the further along each stage they get. As well as all this, the software also includes video content to help your child fully understand each skill they are learning. Whether you’re a complete beginner who wants to boost their confidence in water, or an experienced swimmer who wants to improve your technique, we’ll be able to help you achieve your goals, whether they are helping you boost your confidence in water or being able to swim for long periods and even training for competitions. Like our children’s lessons, there will never be more than five of you in one class, which will, of course be led by a fully-qualified teacher, while we also offer diving and water safety courses. If you feel you or your child needs a more bespoke, personalised approach to your learn-to-swim programme, then our one-to-one lessons are the ideal solution. They allow you to concentrate on any weaknesses that you may feel you have in your technique, or if there’s a specific stroke you’re struggling with, you can work on it and fix it more quickly than you might do in a group session. It also allows non-swimmers to gain confidence in the water before moving on to more daunting group lessons.